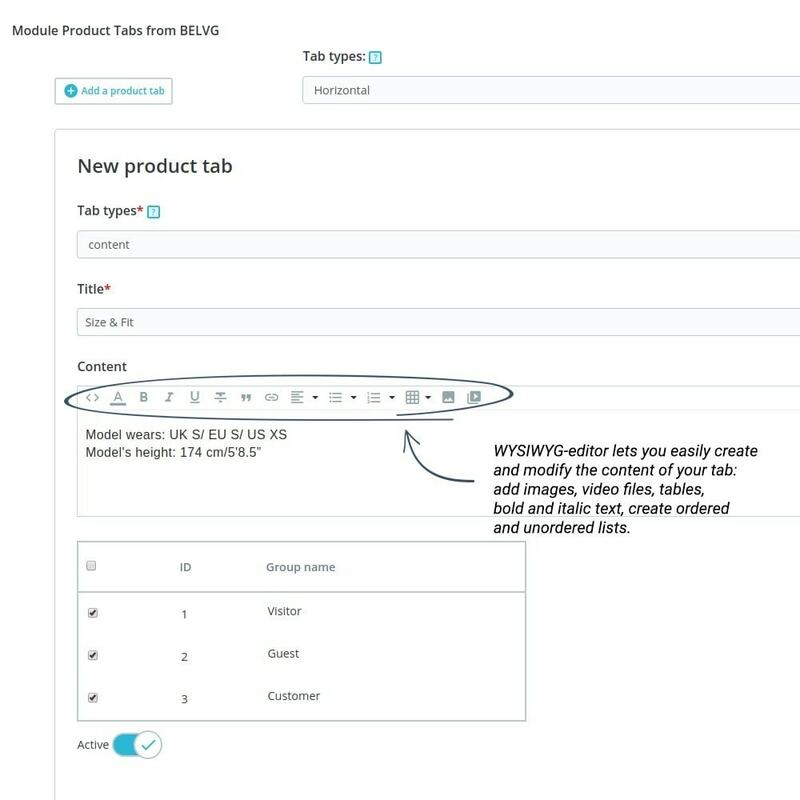 Add custom tabs and neatly arrange product description, create extra text blocks with images, videos, upload documents, add a contact form. 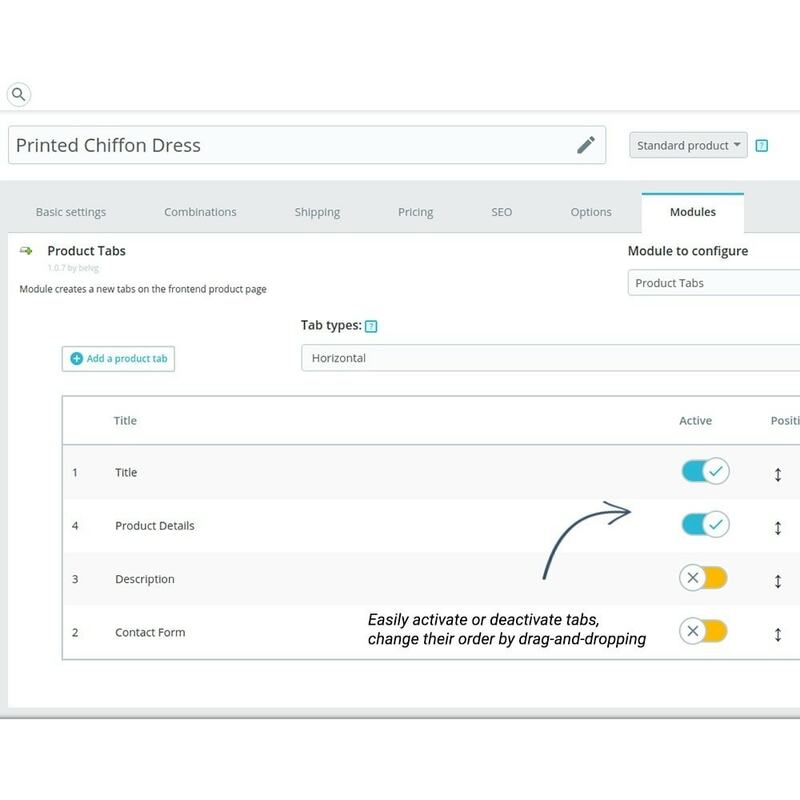 Use rules to implement tabs for some certain products, categories, customer groups. 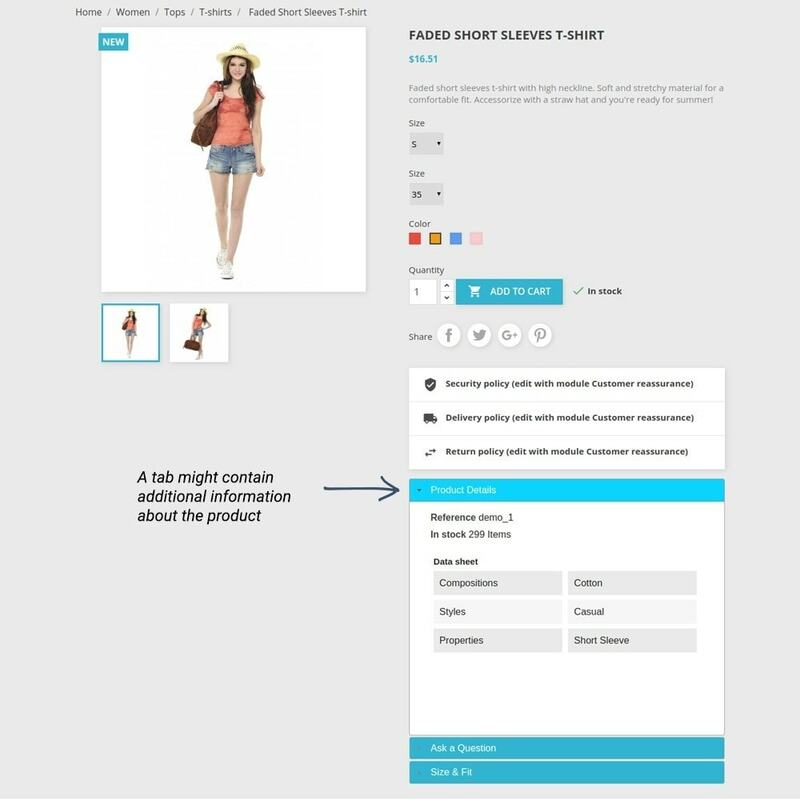 Good product description is one of the keys to successful selling. The way you present your goods, the information that is provided as well as additional media support can quickly turn some hard sell product into a real best seller. 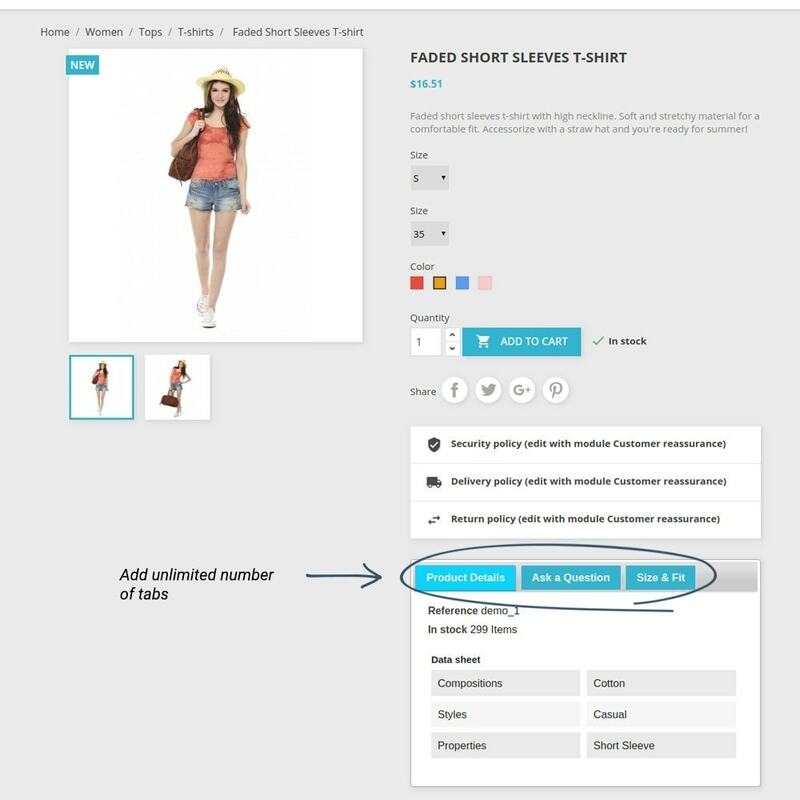 Unfortunately, the default Prestashop means of product presentation are quite scarce and give very few possibilities for customization. 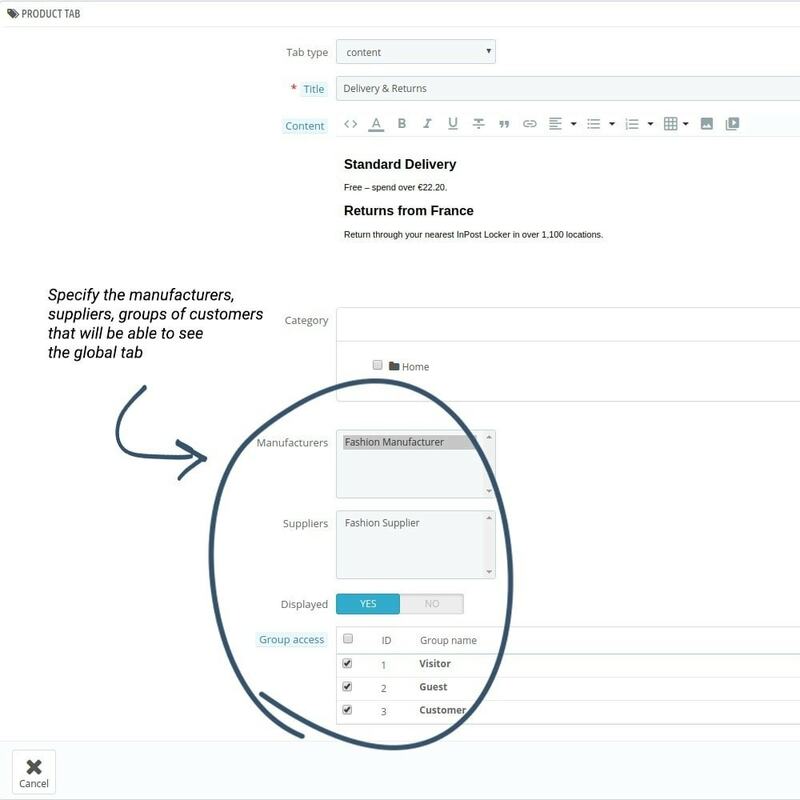 Neither you can create individual rules of product description for several products or product categories. 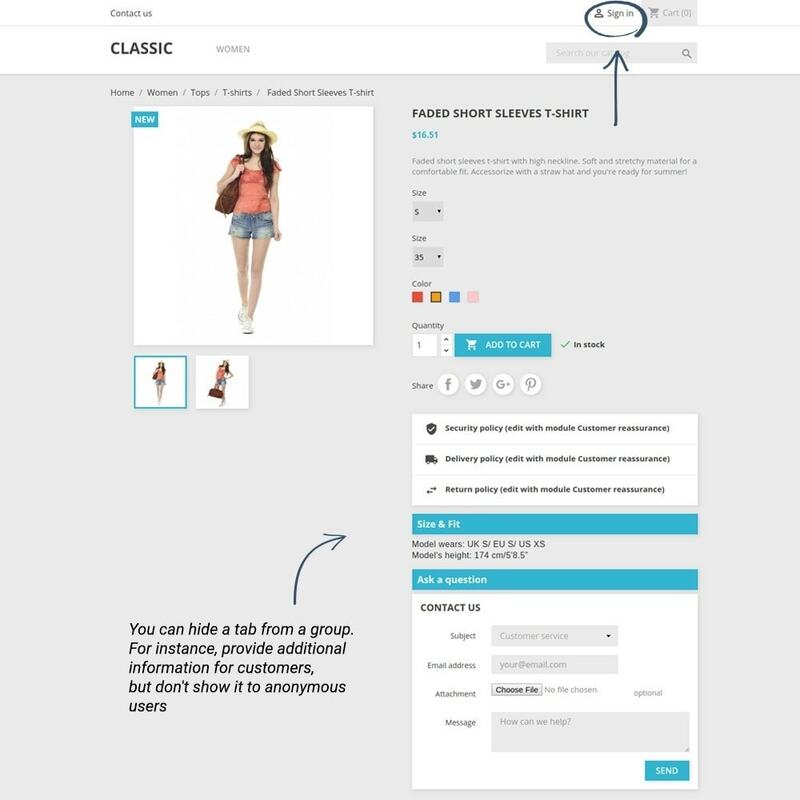 But using the Product Tabs module you can easily overcome this problem and supply each product on your store with additional text, image and supporting video material. 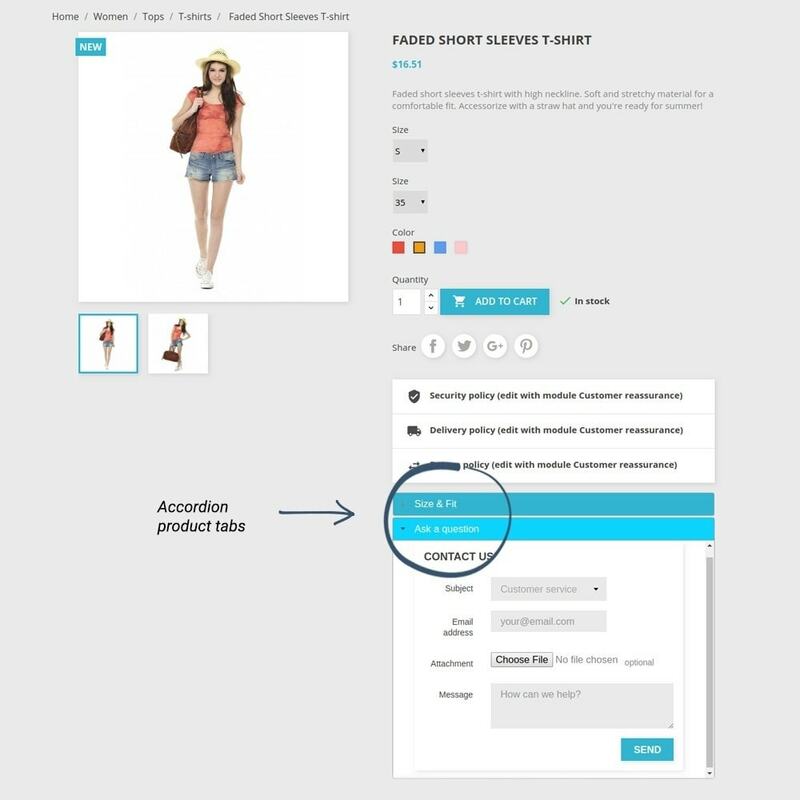 The Product Tab module allows you create unlimited number of additional tabs on each product page and arrange them either as vertical or horizontal orientation or stack as accordion. 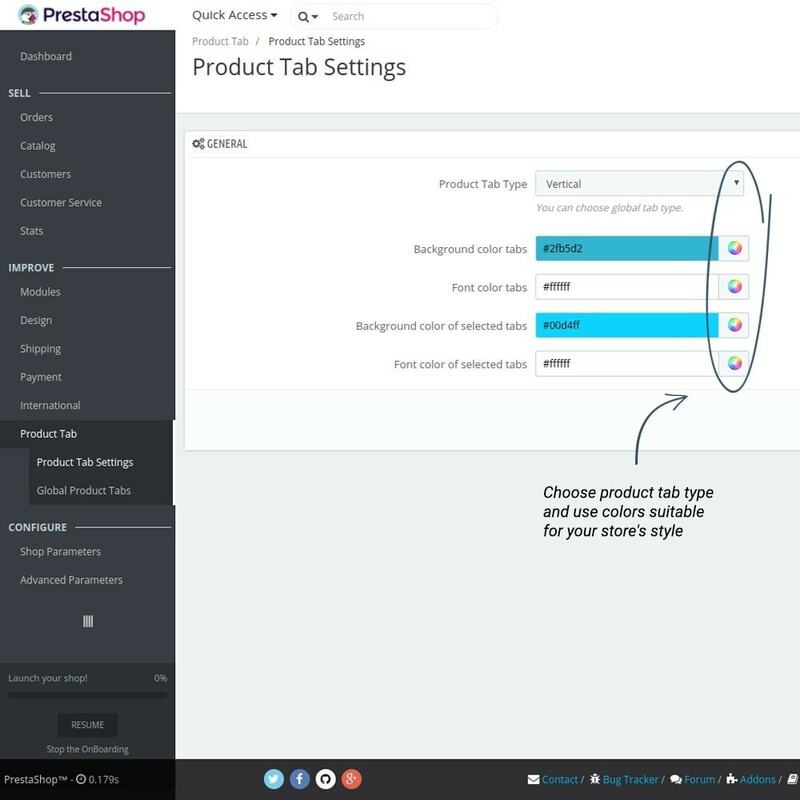 Customize tab background colors and text styles. 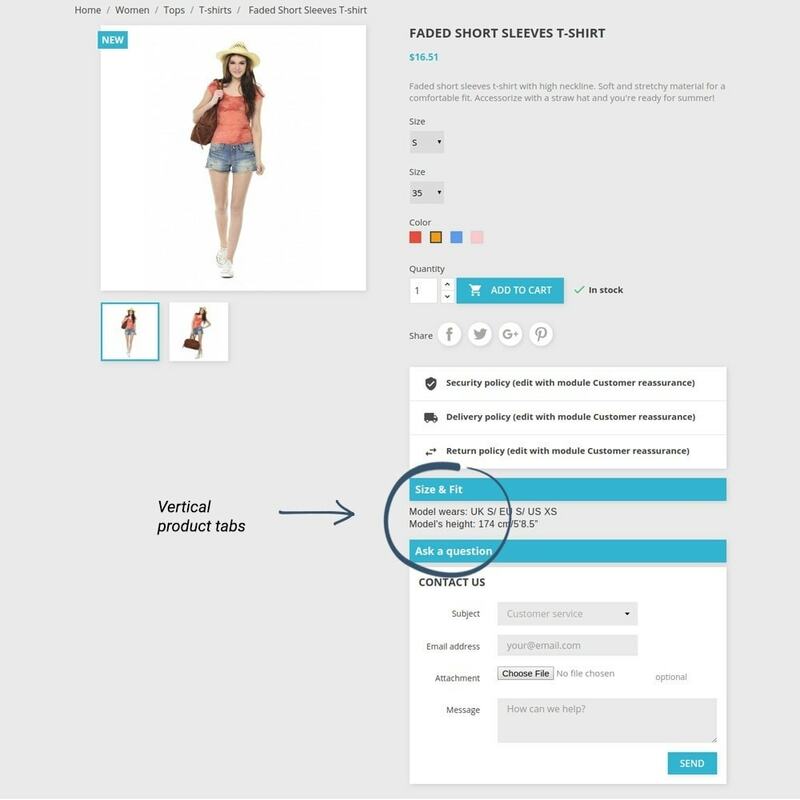 This module allows you to display retail price.The suggested retail price or PVC is an indicative selling price offered to distributors by the manufacturer. 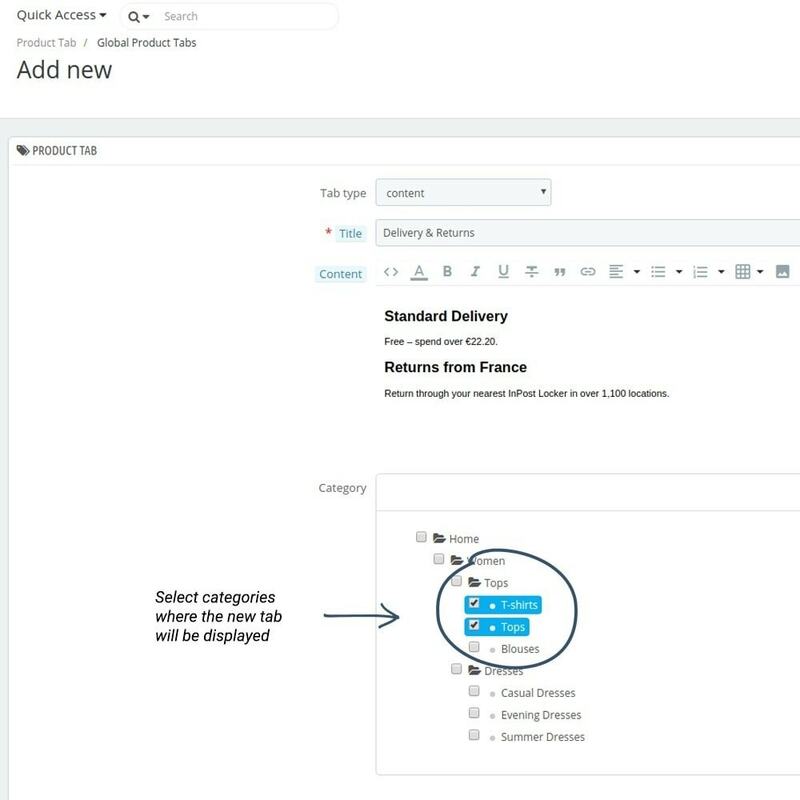 The Live Chat module gives you an opportunity to stay in touch with customers. They will always be able to clarify any issues they have. 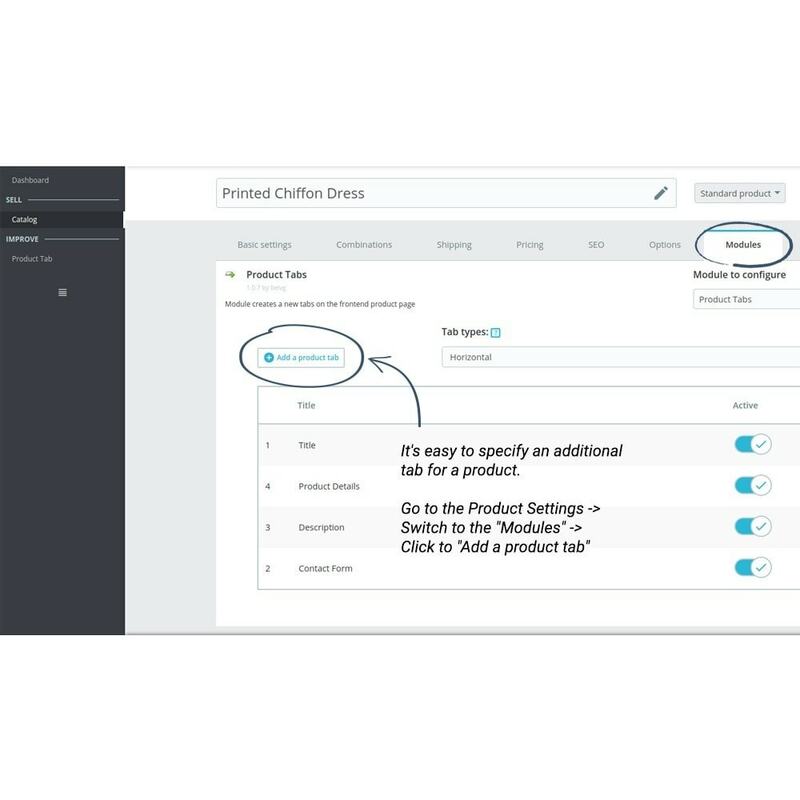 Moreover, an operator can chat with several customers at once so every customer’s question will get an answer. 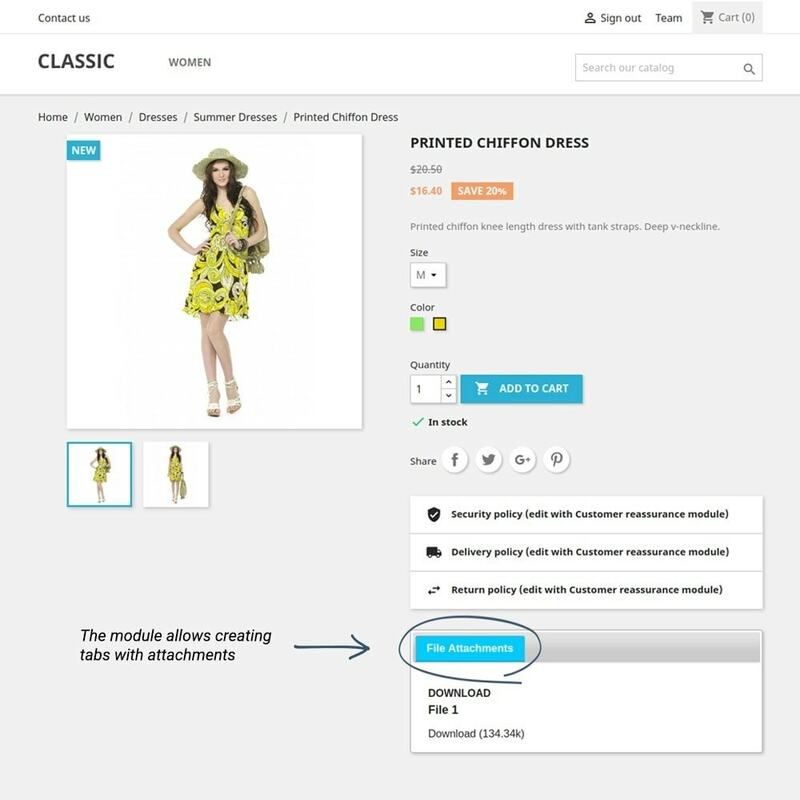 A well-known and popular module is now compatible with PrestaShop 1.7 version. 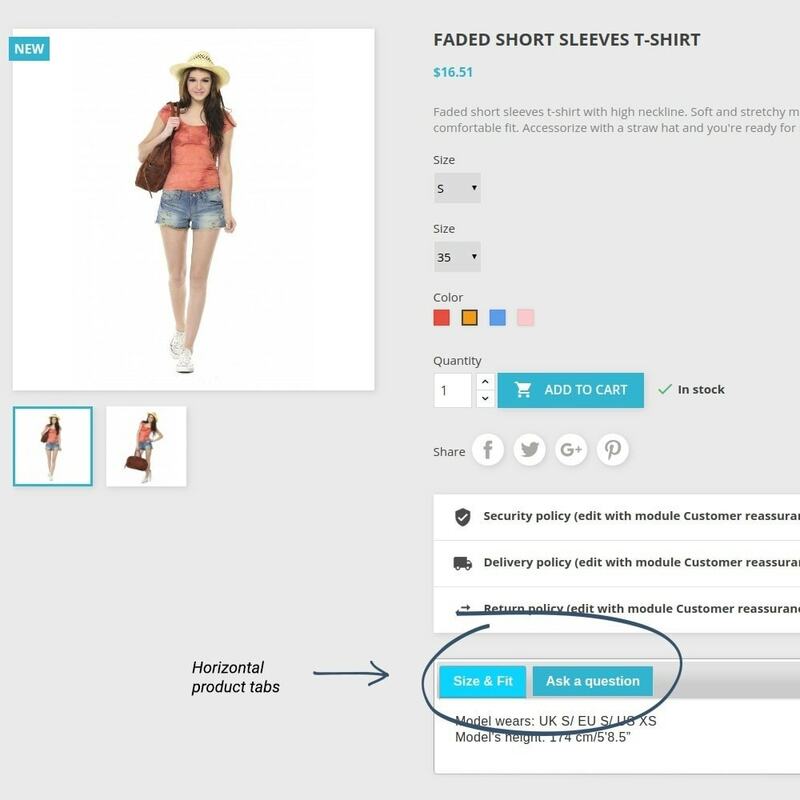 This plugin enables customers to order products that are out of stock. Both registered and unregistered customers can also subscribe to the waiting list for a product.